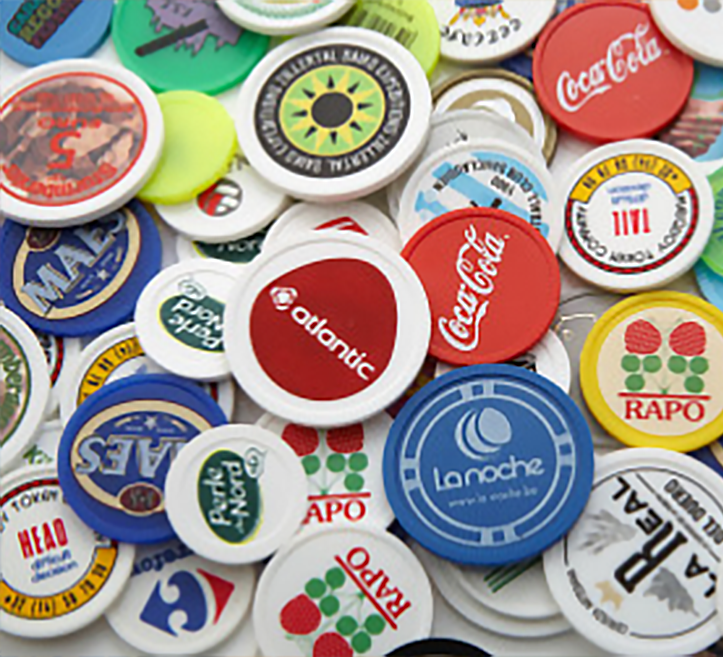 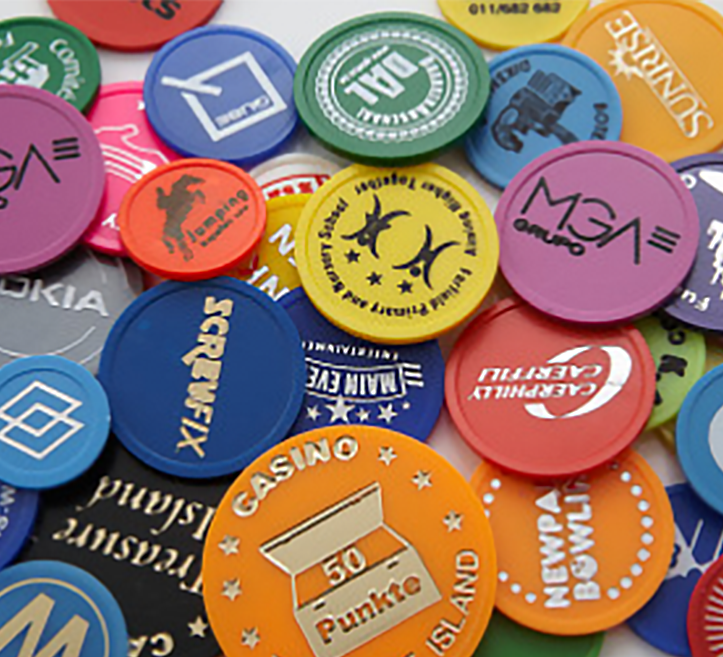 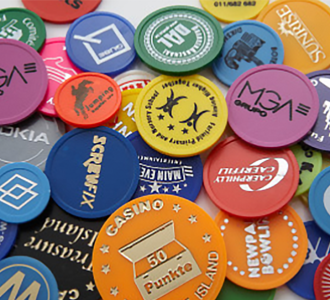 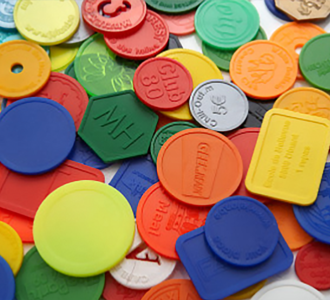 Plastic tokens with an own logo or design are perfect to use as reusable beverage coins, wardrobe tokens, casino game chips, festival tokens and so much more. 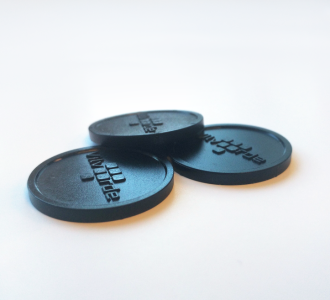 They serve as currency at your event or festival and are available in 23mm, 25mm, 29mm, and 35mm. 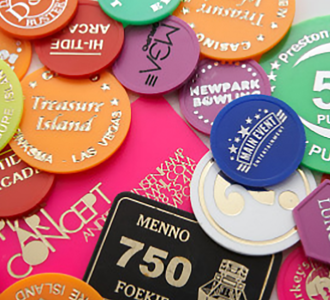 The tokens are fully printable and can be personalized as desired. Choose from engraved tokens, a foil print in gold or silver or even a pad printing with different colors for your print and text. 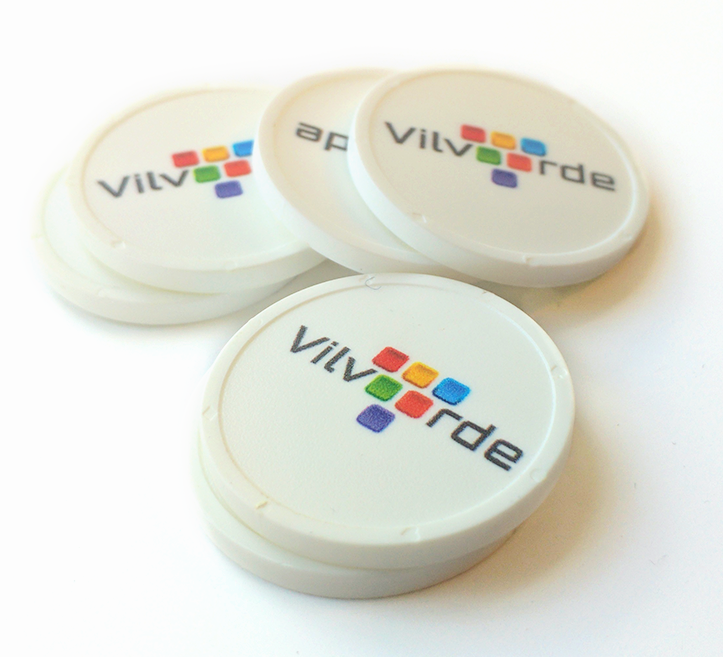 Easily upload your design after your order!